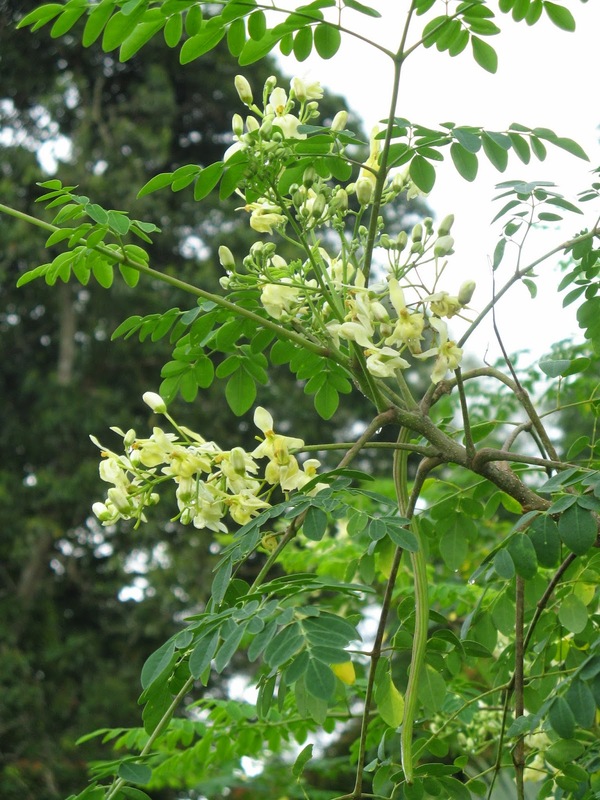 Kelor in bahasa or Moringa are so familiar with indonesian peoples, not only for medication but some peoples believe this plants to heal black magic desease. Habitat: It grows wild in the fields in the area enough water, with full sunlight at an altitude of 300-900 m asl. Latin name: Moringa oliefera Lamk. Description of the plant: Plant a tree whose height is approximately 8 meters. Woody stems, round, branched, speckled black, dirty white color. Compound leaves, 20-60 cm long, ovate leaflets, flat edge, notched, bones odd pinnate, green color. Compound interest, panicle shape, lies in the armpit leaves, 10-30 cm long, white crown. The fruit pods, 20-45cm long, containing 15-25 seeds, blackish brown color. Chemical Ingredients: Pterigospermin; essential oils; Moringin alkaloids; Moringinin; fatty oils. Efficacy: Diuretics; stimulants; expectorant; analgesic. Moringa root bark taste; Masoyi (Cryptocarya massoia (Oken) taste; Clove taste buds; The roots of papaya; Enough water, contused to form a paste, Applied on swollen part. Moringa roots taste; Little water to form a paste contused, Applied to the temples and behind the ears. In patients with rheumatoid arthritis, the paste is applied to the painful part; Used 3 times a day.